A Fernandes produced range of electric guitars. 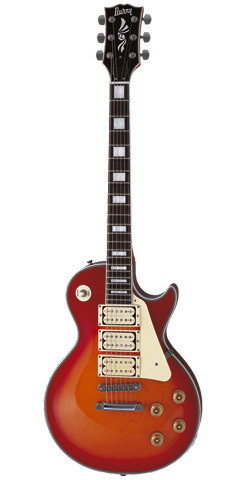 For premium playability, supreme tuning and exquisite body language, the RSS is the one. The fiesta red finish encloses the Revelation brilliance and gives it the originality it deserves. With transcendent beauty, the brilliance of the Sunburst finish, Alder body and Rosewood fingerboard, the RTE Custom has all the features available for the best guitarists. One of our most beautiful guitars, the RTL 55 boasts a high-gloss ebony finish, which is superbly complemented by our very own Entwistle Gold Plated pickups. Four-knob control section to enable maximum customisation and creativity. Grab the Mahogany neck and body and take control of the most natural Revelation guitar yet. A prized Revelation guitar that makes powerful music. The RTS 62 is built with a solid Alder body and Canadian Maple neck for that all important authentic sound. If originality is what you seek, then this is it; with a devilishly handsome Mahogany cut all over, there’s no more fitting way to celebrate natural beauty. Team up with this Revelation and create music your way. A rising star that has all the features required to make out of this world music. With solid tuning, potent pickups and angelic looks, there’s not much to argue about. A mandolin that means business; Chrome hardware, Basswood body and a Maple neck - the Revelation RTN is a small but mightly mandolin that keeps up with the big boys.